SEO service that we offer is performance based & includes many factors. We provide Performance based SEO service. SEO (Search Engine Optimization) is a process that makes your website indexed and discovered more easily by search engines. It involves implementing many factors & components to your website, using strategic contents and keywords that people are searching for. Having your website is the first step into your Marketing strategy and SEO is must have & 2nd step. These are the first two required steps and always go hand in hand. Having a website without SEO, is like having no website at all, since Search Engines will not find it without required tags & SEO components. This increases your chance for the possibility of your website not being indexed at all. In other words, it will be non-existence in the world of internet; despite you have a web address and URL. At the minimum every website we build, includes on page optimization with the minimum required SEO components offering local businesses the visibility and web presence they need to take advantage of local search market. Our SEO team will research an extensive laser-focused set of keywords and phrases specific to your industry and business. We will compare that to your competition for local, national & global ranking. In majority of cases, local & national are sufficient enough. But for enterprise companies, Global SEO is necessary which is more tedious & time consuming task to implement in order to achieve desired ranking. We will analyze & implement on-page effectiveness for every single page of you site and present the site to Search Engines with optimized and relevant meta tags, keywords, phrases & content that specifically tailored and developed for your site and business. However, SEO is an ongoing process & not a set it and forget it matter. Keeping up with Search Engine’s ever-changing algorithm is a full-time job & requires constant monitoring & adjusting. The reason for this is the nature of SEO and the search engines that constantly modifying and improving their algorithm. Google alone has modified their algorithm 890 times over the past year. That is roughly more than twice a day. 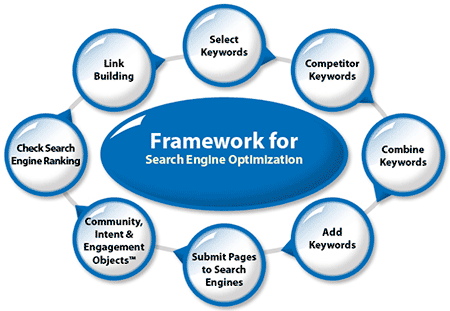 SEO components must be monitored at least once a month in order to make necessary adjustment. We have gathered some great resources to help interested business owners to discover the power of SEO as well as resources to help you understand the importance of SEO to your business.